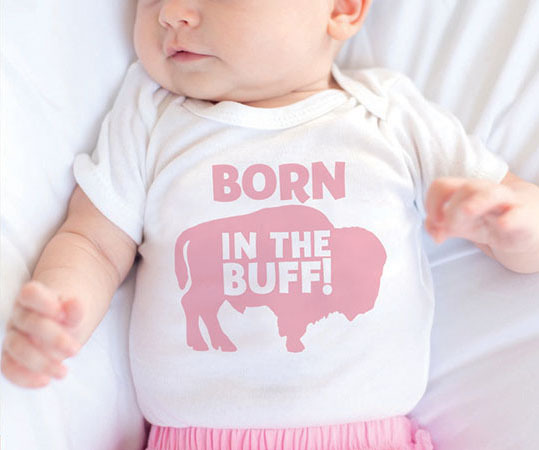 Born in the Buff Design. Available at Village Artisans in Williamsville, NY in January. Available in Blue and Pink Onesie designs.